The first two are marked at the area of the dirty port. We didn't mark the third one. See if you can figure out where it might be. 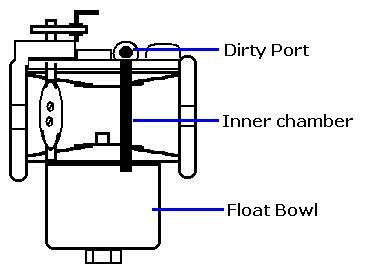 To find the "Dirty Port" on your carburetor, it will usually be noticeable by a buildup of unexplainable dirt as shown on the untouched photo number 1 which is of a used carburetor. 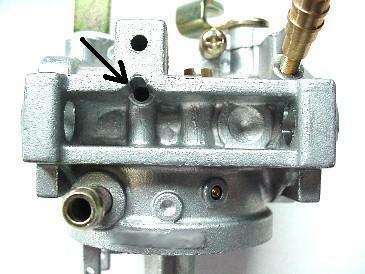 Photos 2 and 3 are brand new carburetors.